The confusing policy reversal appears to expose the sharp differences within the Trump administration on North Korea policy. President Trump sparked confusion Friday by announcing the cancellation of sanctions aimed at North Korea, in an apparent effort to salvage his administration’s nuclear negotiations. 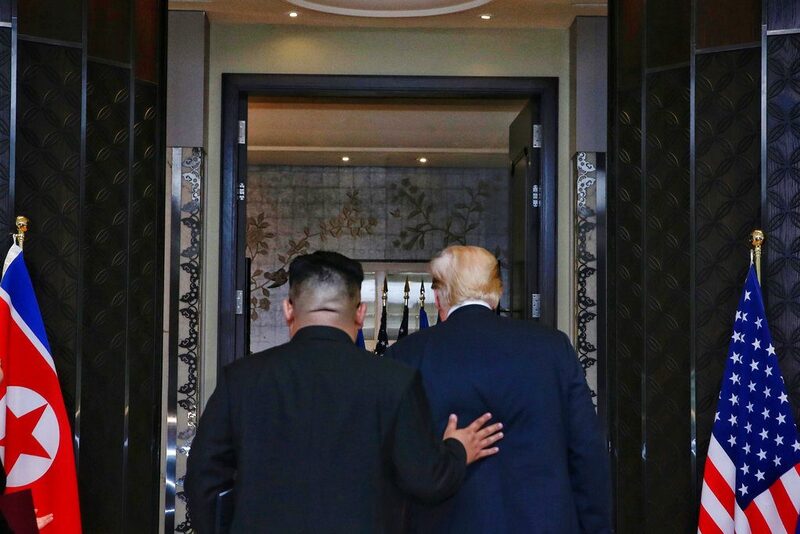 Trump has fixated on his negotiations with the rogue state after leaving his no-deal summit with Kim Jong Un in Hanoi last month, telling senators, visitors and others that he can still make a deal with North Korea – and that he believes Kim will eventually agree to his demands. Some of Trump’s top aides, however, have been more skeptical, especially his national security adviser John Bolton, who has long preferred piling on additional sanctions to North Korea in an effort to bend the regime to Washington’s will. Trump is determined, officials said, to prevent his aides from undercutting what he views as his biggest foreign policy accomplishments: reducing tensions with North Korea and creating the opportunity for a historic deal. As a result, administration officials sought to keep Bolton from attending Trump’s dinner with Kim on the first night of the summit in Hanoi because of concerns that he could hurt the discussions, two administration officials said. Critics said Trump’s move undercut his administration’s maximum pressure campaign against North Korea, though some diplomats acknowledged that the move would likely buy the president some good will with Kim just as U.S.-North Korea relations had begun to sour. Earlier on Friday, North Korea withdrew its officials from a liaison office with South Korea in an apparent response to the Treasury Department’s sanctions announcement on Thursday.